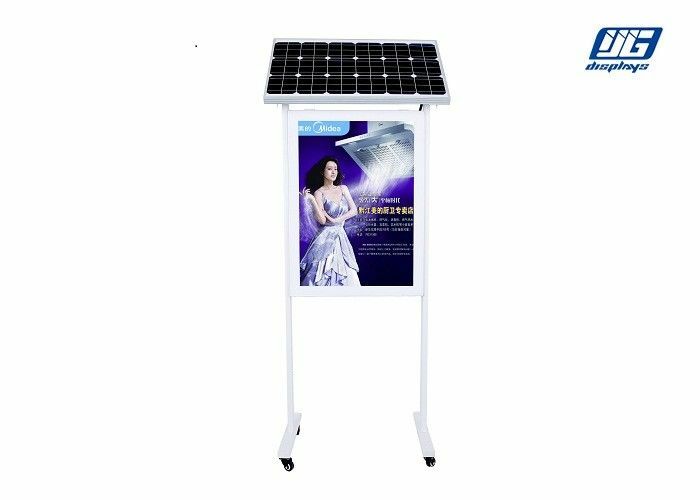 ① Solar energy powered,green lighting,supported by 45W solar panel,and have a long life time of 10 years,and the single pole type solar LED light box need to be placed under the sunsight fot its' function. 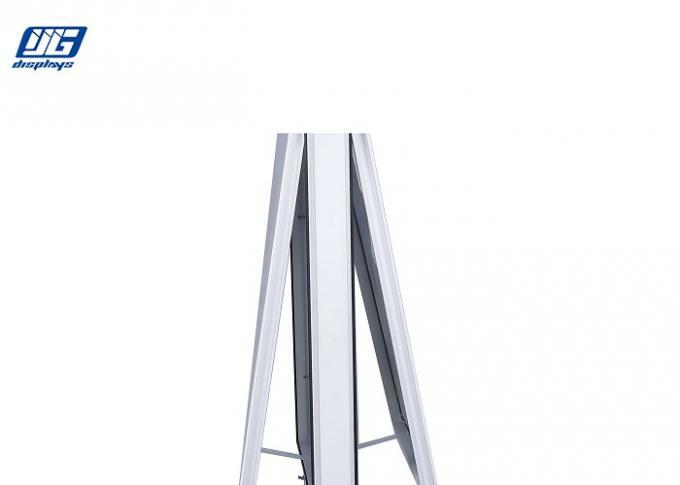 ② Multi applications,to be installed in any place with sufficient sunlight,and the single pole type solar LED light box has well water proof ability and unique security door design,provide a safe management environment. ③ No need city electricity and less maintenance,once the battery be well charged with the sunlight,the LED light box can work automatically with set-up by hours.Meanwhile,the LED light box can support time&light controlling automatically,light adjusting automatically. ④ Free maintenance lithium battery,max size 12V/16Ah,life time:charge&discharge:1000 times.Long lifetime can improve the advertising effect and save energy consumption. ⑤ Double sides display can attract more people from a wide direction. ① The Double Pole Type Solar LED Light Box can be packed with corrugated box or honeycomb box according to different shipping needs. Over-10-year expericence are in accord with your assurance and recognition of our high quality Double Pole Type Solar LED Light Box.